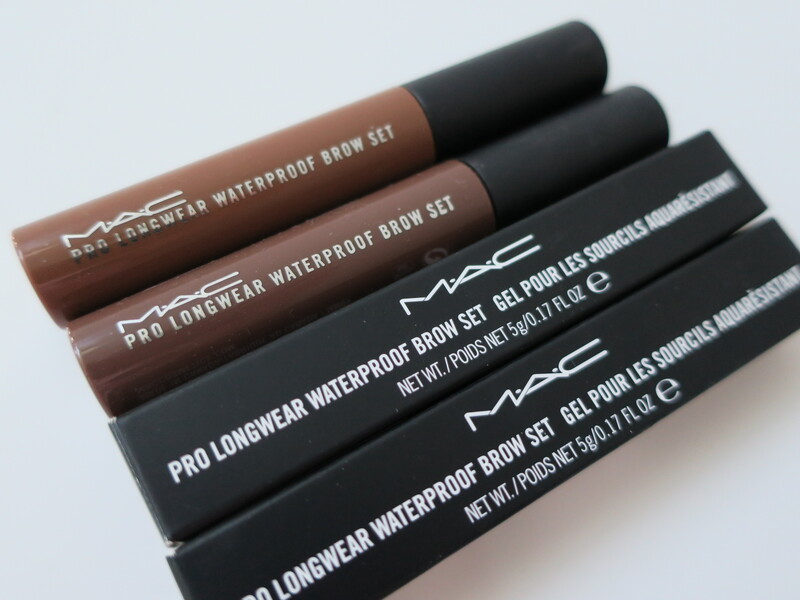 Awhile ago, I hauled and reviewed the Pro Longwear Waterproof Brow Set in the shade Red Chestnut (hauled – here) hoping it would be similar to my beloved and sadly discontinued Define-A-Brow Eyebrow Pencil in the shade Medium Brown by the brand Maybelline (reviewed – here) which it is, but I didn’t take my dark hair into consideration. Now that I’m no longer a blonde (pics before and after – here) I feel that lighter brows look quite odd in comparison with my darker hair. If my hair was highlighted, than I feel I might be able to pull off Red Chestnut but since I’m slowly getting rid of all my dyed hair (getting the ends trimmed) because I want it to be uniform (only my natural color), I had to switch to a darker Brow Set shade to match. As you can see Quite Brunette (left) is a cool-toned taupe-y brown whereas Red Chestnut (right) is a warm-toned reddish brown. For reference, Quiet Brunette is described as a muted mid-tone grey brown whereas Red Chestnut is described as a gold brown with gold shimmer. With that being said, I don’t apply Brow Set daily because it’s not an easy-breezy product. Mistakes can and will be made (“Mistakes were made”, Call of Duty reference lawl). As such, I prefer to apply the Brow Set before doing my eye makeup (sometimes, after) but never before my face makeup (bronzer, contour, highlight, etc…) because when I mess up my brows, I can always go back and fix them without disturbing the face makeup (which I haven’t yet applied). Hope that made sense. Also, if you make any boo-boos with the Brow Set, I find that it’s best to wait for it to, er, set, before going in with a q-tip to fix the mistakes, as opposed to smearing the Brow Set all over the place because it still hadn’t, er, set. That said, if it’s a tiny mistake, then I feel like you can get away with sweeping it away, er, right away. Obviously you can “clean up” your brows with concealer but personally, I have no patience for that. Remember, I usually just apply a powder eyeshadow to my brows and call it a day. All this other stuff is just “extra”. For me, makeup is meant to be fun! If it becomes too high-maintenance, it ceases to be fun and becomes almost a chore. I never want to fall out of love with makeup so I like to keep it simple (on the days that I do actually wear any makeup).